by M. Dornac. Charles Lang Freer Papers, Freer Gallery of Art and Arthur M. Sackler Archives. Lee Glazer is associate curator of American art at Freer|Sackler. Despite these lofty aesthetic pronouncements, Whistler was also very much a man of his time—a trendsetter, even. He took up residence in London’s Chelsea neighborhood while it was still “transitional,” contributing to the area’s soon-to-be-gentrified character, and his taste for Chinese blue-and-white porcelain launched the Victorian decorating craze known as Chinamania. He understood the expressive potential of fashion, too. 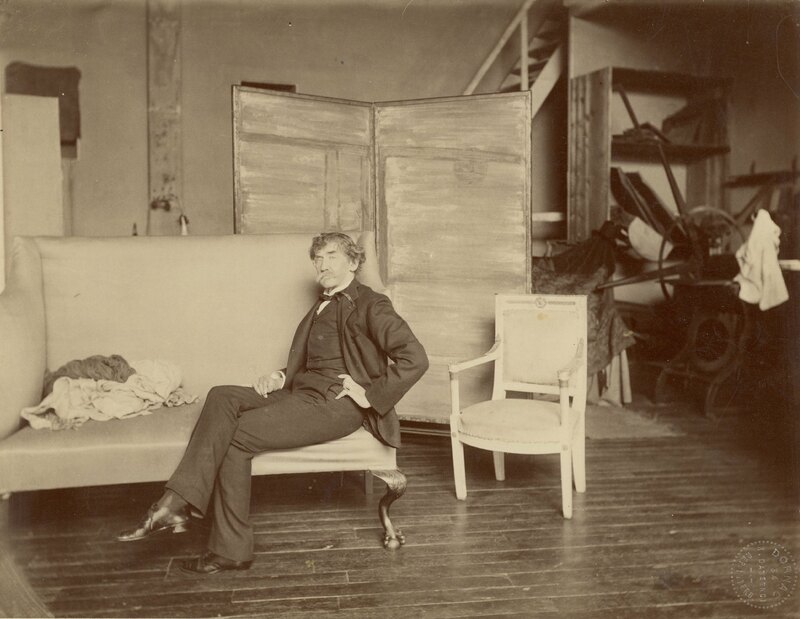 Whistler was known for his carefully coiffed head of big hair, his monocle, and his patent leather dancing shoes, which he wore both for work in the studio and a night on the town. And he discerned the value of social networking and publicity in a way that now seems almost prescient. He wrote countless letters to editors, delivered dramatic public performances, hosted talked-about parties, and staged elaborately orchestrated exhibitions. It’s safe to say that if Whistler were alive today, he would embrace social media (at least, if he was the one deciding how and when to tweet or update his status) and interactive technology. So, it is fitting that the Freer launches The Peacock Room Comes to America mobile app this month, which brings the gorgeous harmonies and dynamic history of Whistler’s famed decorative interior to anyone with an iPad or iPhone. Soon available for free download from the iTunes Store, the app includes an interactive panorama of the Peacock Room, lavish illustrations, and multimedia content, including a behind-the-scenes video of the room’s recent reinstallation. There’s also a chance to play curator by dropping and dragging digital ceramics onto a Whistler-decorated sideboard. Beginning this fall, visitors to the museum will be able to borrow iPads from the Freer information desk for use in the gallery. Happy birthday, Jimmy! And welcome to the twenty-first century.